Children can make quite poetic observations from time to time. I heard two different little girls (both aged around eight) comment on the colour and texture of the water in the bay today. ‘The sparkles are the jewels for the water fairies,’ said one little girl, who was obviously on the same wavelength I was as a child because me as a kid? – all about the fairies and fantasy and magic. Hearing her say that took me right back to those moments when I used to think about such things (which was practically every day.) It was nice to think of it. It made me feel that serene and hopeful way you feel as a child where you believe things like magic are possible. 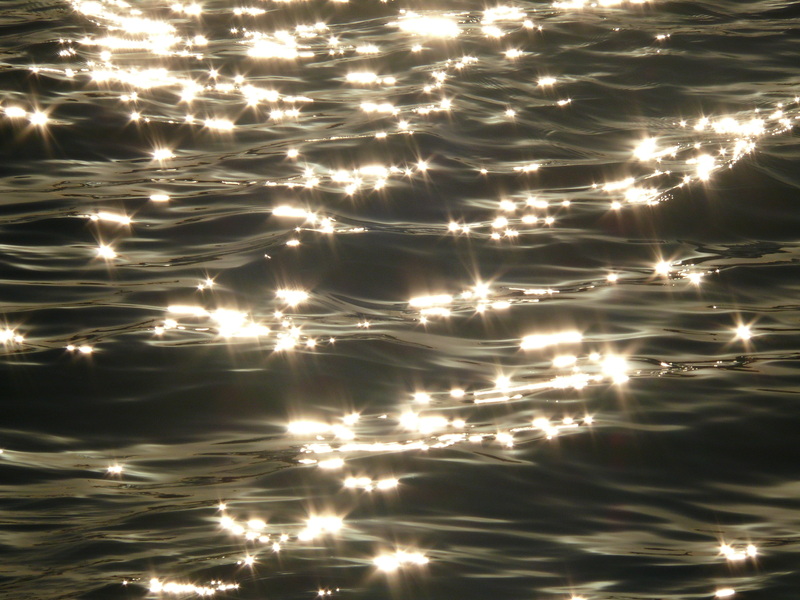 And there is no denying that the lights on the water look like jewels. ‘It’s the Water Queen’s cloak,’ said another little girl about half an hour later. 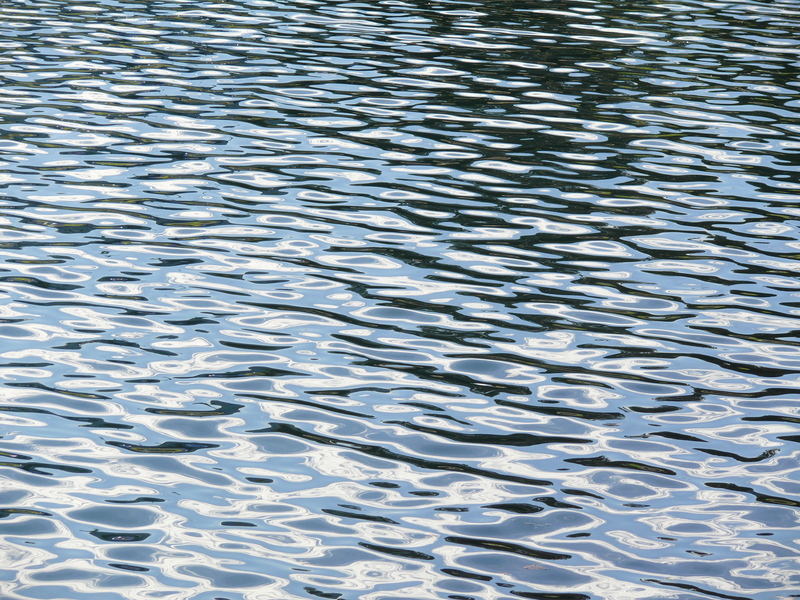 And if you look at the soft, pliant ripples in the water they could be fabric of the most wondrous sort; a cloak made for the Water Queen herself isn’t out of the question from those ripples. That water is like a Pre-Raphaelite painting where so many of the subjects rose out of the water and you didn’t know where the fabric of their clothing ended and the water began. It made my heart soar to hear those little girls talk about fairies today. It made me think of good books and imaginings and dreams. Things that make the world a less horrible place. I hope that little girls a hundred years from now still see the world of faery in the bay and that a passerby who still holds hope and magic in her heart hears them, smiling, and whispers to herself : Out of the mouths of babes. Water babes. It is pretty cool isn’t it, G? I couldn’t believe I managed to photograph the sparkly bits! Yes! Yes! Yes! This made me smile. Thanks for sharing it. It made me smile too. I love thinking about fairies. So cool! Fairies are still popular. I see lots of little girls wearing wings and fancy dresses around here. I love it. Makes me grin every time! He’s in his 40s now, and would probably kill me for saying this … but I used to know a little boy who thought butterflies were fairies! Awww. That is so cute. What a lovely little boy! I remember seeing dress material that looked just like the second photo, Selma. Beautiful! I’ve seen it too, Adeyoyo. It would make a magnificent ball gown, wouldn’t it? Just gorgeous! Wonderful time of life and I was exactly like that – always imagining fairies in the garden and wanting to join them in their festivities. It was a fantastic time, wasn’t it? I loved, loved, loved thinking about the fairies. Actually I still do!